Description: This is an intense, four-day, 40-hour immersion course in the “rules of engagement” for armed law-abiding private citizens. 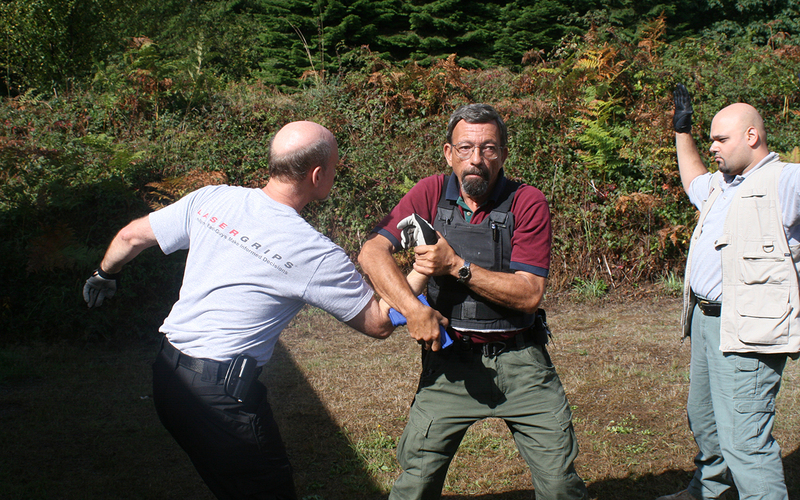 The course emphasizes legal issues, tactical issues, and aftermath management. Topics will include interacting with suspects, witnesses, responding police officers, threat recognition and mind-set, and the management of the social and psychological aftermath of having to use lethal force in defense of self or others. Also covered is preparing beforehand for legal repercussions and minimizing your exposure to them. Situations in the home, at the place of business, or “on the street” will all be covered. 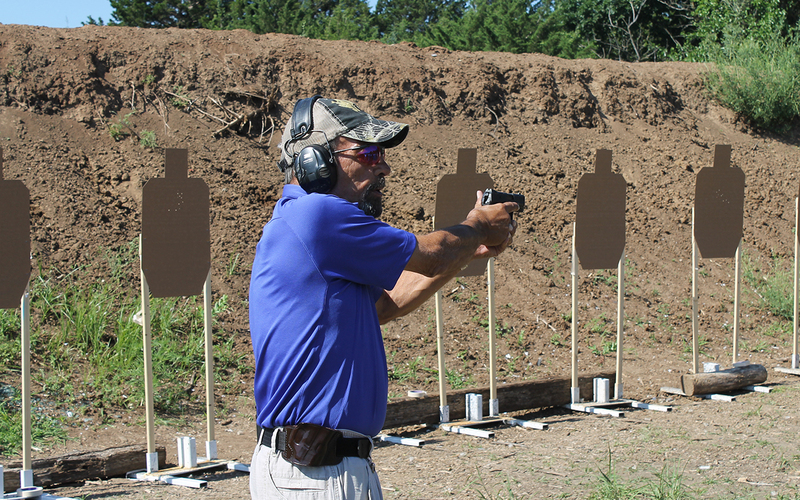 Range work will include instruction in the use of the defensive handgun under extreme stress. 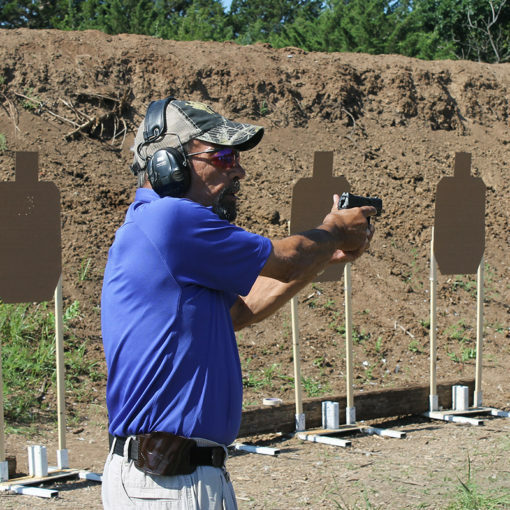 Drawing from concealment, two-handed stances, shooting from cover, one-handed stances with either hand, speed reloading, and more are taught with an overall emphasis on fast, accurate shot placement. 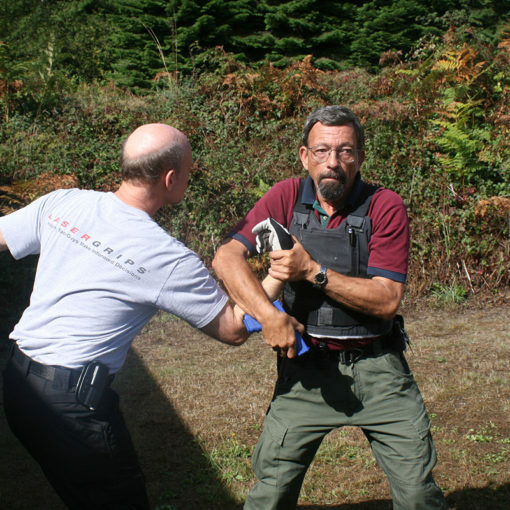 The course will culminate with a written examination covering the classroom topics and a police-style handgun qualification course. No prerequisite.